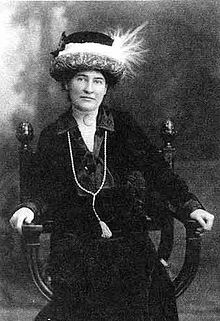 Willa Cather (1873-1947) was born in Virginia and raised on the Nebraska prairie. She worked as a newspaper writer, teacher, and managing editor of McClure's magazine. In addition to My Antonia, her books include O Pioneers! (1913) and The Professor's House. She was awarded the Pulitzer Prize in 1923 for One of Ours. The following is a personality profile of Willa Cather based on her work. She is empathetic, she feels what others feel and is compassionate towards them. She is laid-back as well: she appreciates a relaxed pace in life. But, Willa Cather is also calm-seeking: she prefers activities that are quiet, calm, and safe. She is motivated to seek out experiences that provide a strong feeling of discovery. Considers both helping others and independence to guide a large part of what she does. She thinks it is important to take care of the people around him. And she likes to set her own goals to decide how to best achieve them.